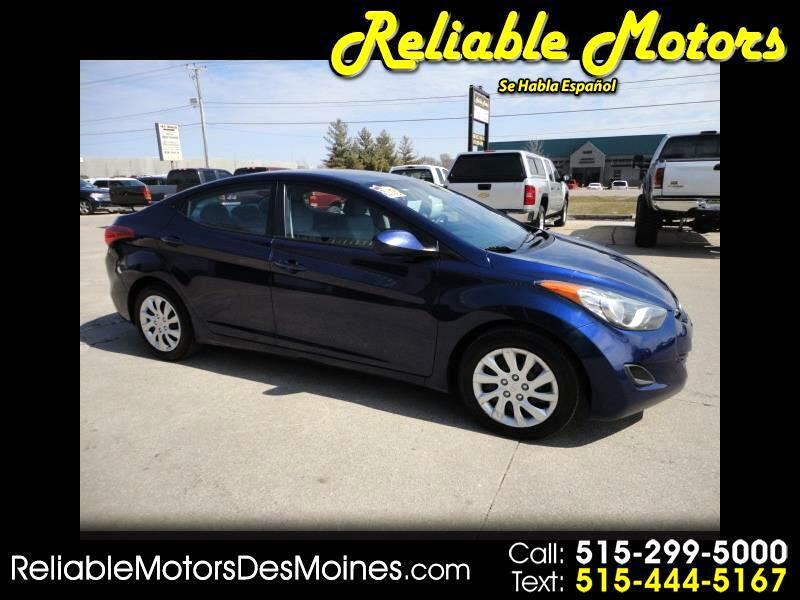 We know you'll be impressed with our 2012 Hyundai Elantra Limited Sedan proudly displayed in Blue Sky Metallic! Powered by a proven 1.8 Liter 4 Cylinder that offers 148hp . This winning Front Wheel Drive combination makes driving a pleasure and provides near 38mpg on the open highway. Stylish and sophisticated, our sedan shows off sleek lines. Inside our Limited, the refined style continues into the roomy and well-designed interior. This sedan is even roomy enough to be classified as a mid-size, and that is something that can't be said for most of its competitors! Our audio system features a CD player, as well as Aux/USB capabilities for your tunes.